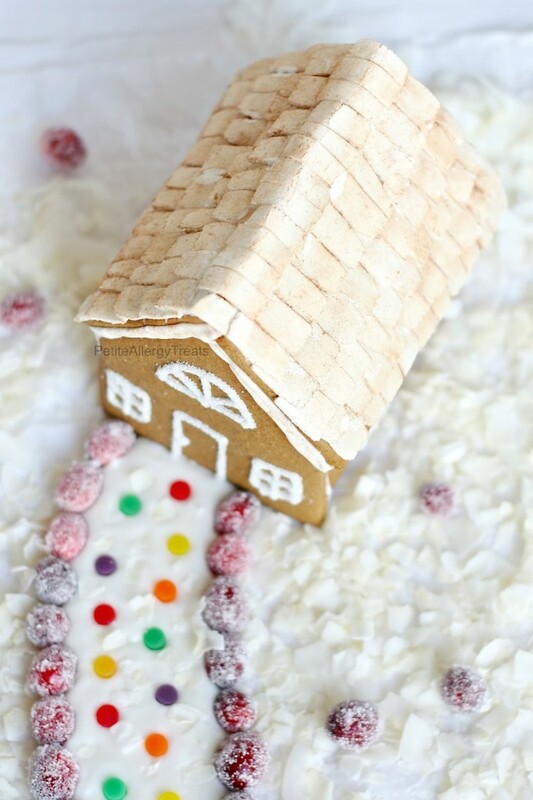 Create special memories by making your own Gluten Free Vegan Gingerbread House with egg free royal icing. 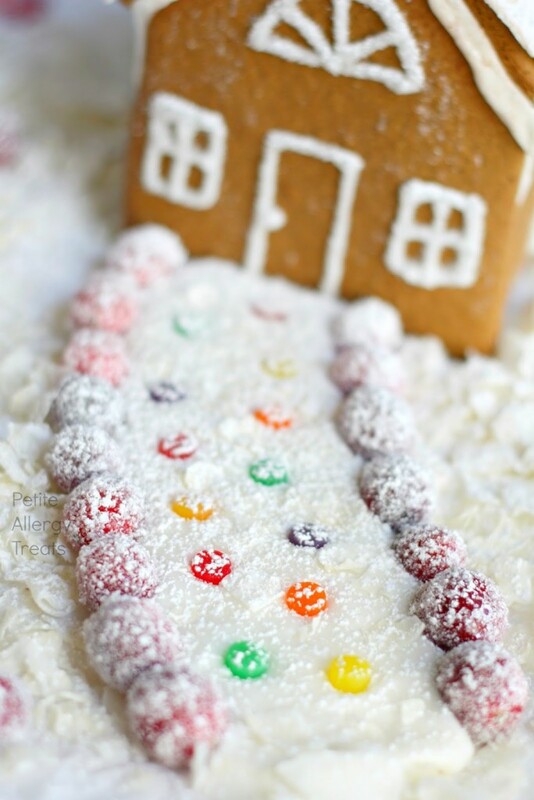 Christmas and holiday traditions often involve gingerbread houses. 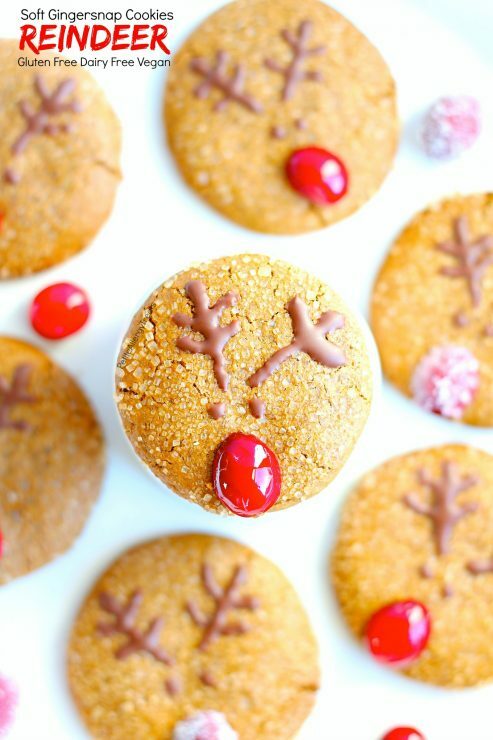 This gluten free vegan gingerbread is not only simple but also has an egg free royal icing. 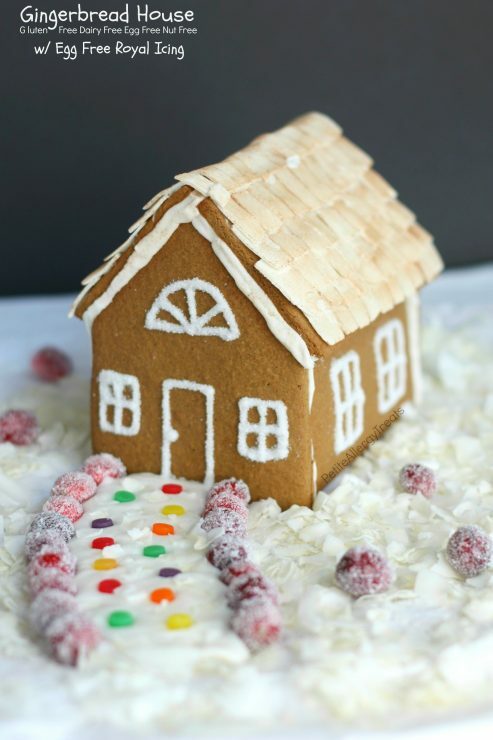 Create an allergy friendly gingerbread house free of the top 8 food allergens making it: peanut free, tree nut free, dairy free, egg free, soy free and shellfish/seafood free. The smell of real gingerbread around the holidays brings back memories. 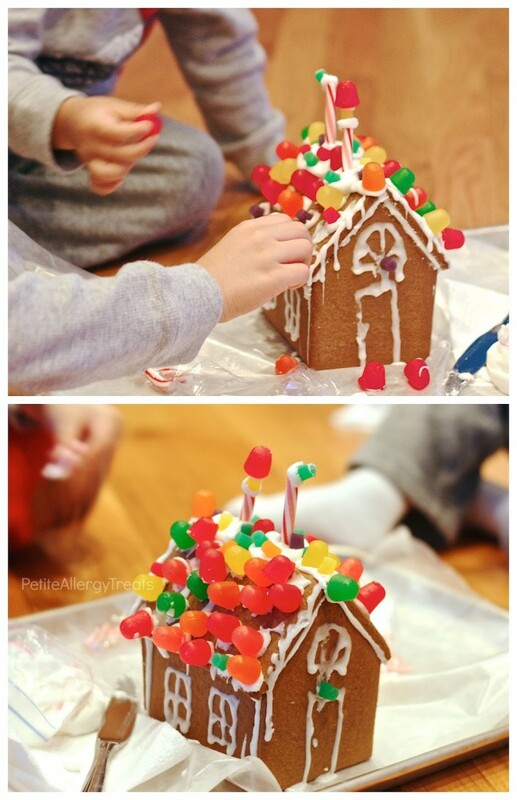 Christmas traditions are such a wonderful way recreate some of our best childhood memories. Gingersnap cookies (or anything gingerbread) makes me think of building houses with thick frosting and then covering every inch with candy. 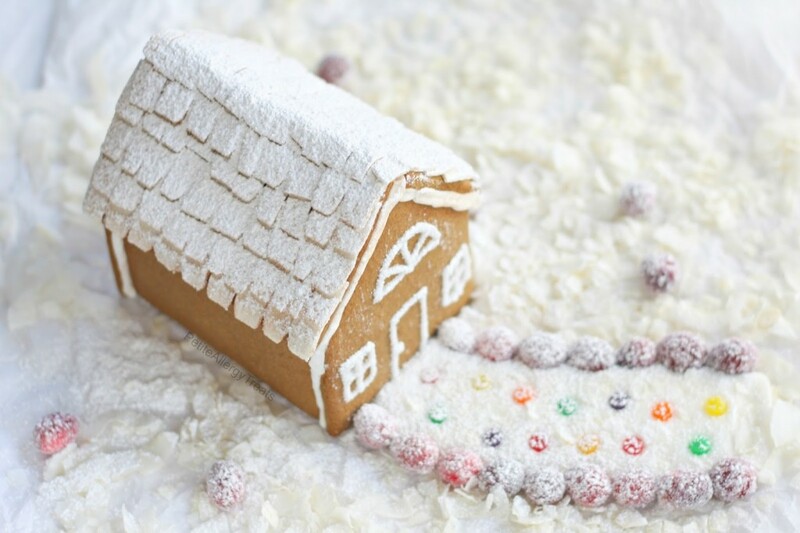 Chances are, you’re familiar with the children’s story Hansel and Gretel. 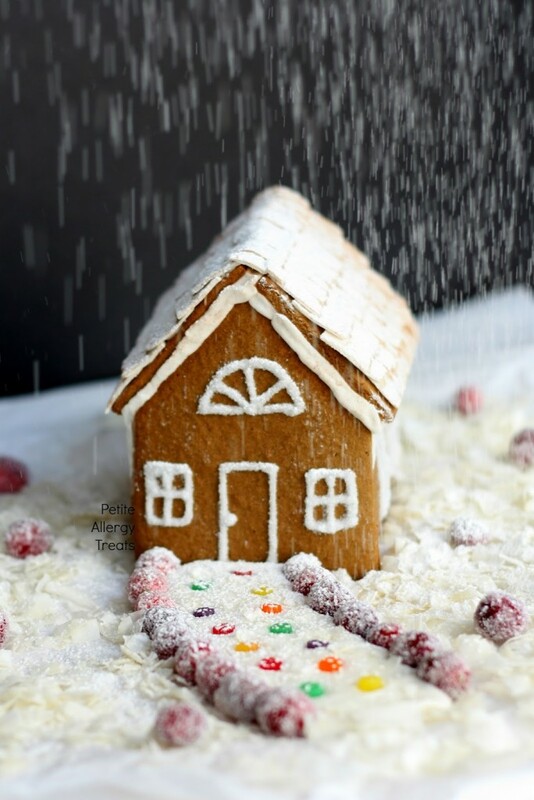 They were lost in the woods after their bread crumb trail disappeared and instead of finding their way back home, they found a house made of gingerbread and candy. 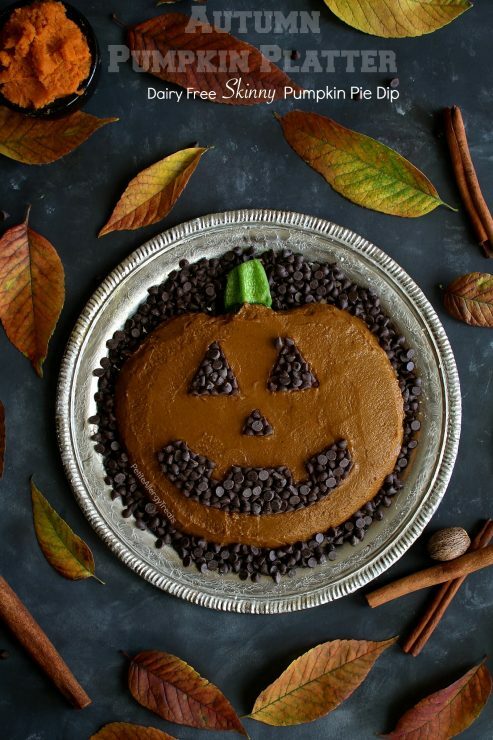 That story was forever on my mind as a child with all those detailed descriptions of the gingerbread, decorated with an abundance of colorful candies and sweet smelling treats. Actually, anything to do with candy or food usually was… early signs of being a future foodie, no? Traditions and food allergies tend to be an oxymoron. And let’s be honest. There is nothing traditional about a gluten free vegan gingerbread house made dairy free with egg free royal icing. Am I right? Right. I’m thankful I can continue that tradition I thought we’d lost with all of our food allergies. The boys were ecstatic they could safely create their own house and top it off with literally 70 pieces of candy. I’m pretty sure at least 20 pieces fell off within minutes of decorating due to the sheer density of the candy on the roof. I have to say, I was really impressed house didn’t cave under the weight! That just shows the strength of this gluten free flour. I typically use my own whole grain gluten free flour mixes but I’m busy just like the rest of you and I run out, and don’t have time to mix my own. 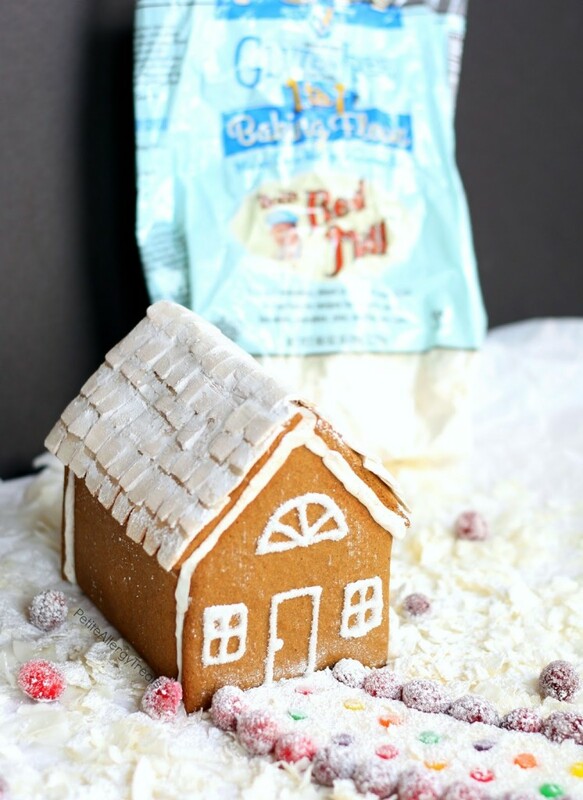 I put Bob’s Red Mill Gluten Free 1-to-1 Baking Flour to the test with these gingerbread houses. What I really like about this mix is how it uses sorghum, brown rice flour, potato starch, tapioca starch along with some sweet rice flour for balance. The addition of whole grain sorghum and a touch of xanthan gum is where this mix gets its distinction. The combo creates chewy cookies and still keeps breads light and springy. Sorghum really is the key. I love how it puffs up when baked. The texture reminds me of wheat but also mimics that beautiful brown color you want and expect when baking a batch of cookies. The texture is one thing but I appreciate the extra protein sorghum provides. It’s so light and durable, which makes it perfect for making cakes, cookie, brownies or even a gingerbread house. I ended up making a few different sized houses. I bought a cutter set from the craft store but found it too large for the kids to decorate. I figured they’d each want their own to decorate and thought it best to downsize a bit. That darn roof… I made it a little too short length wise. It was too short to help hide the front frosting. The cute Christmas lights I made out of candy and thread didn’t have extra roof to attach to, so I didn’t use them. 🙁 Probably would have been better with a 6.5 inch length. Oh well, next year…I decided to go for a traditional cedar shake roof created by pieces of gum rolled out and cut to size. I even dusted it with cocoa powder so it wasn’t blindingly white.The egg free royal icing is really just extra thick powdered sugar glaze made from a little milk or water. It was thick and cement like but still looked and tasted like a glue-type egg based royal icing. 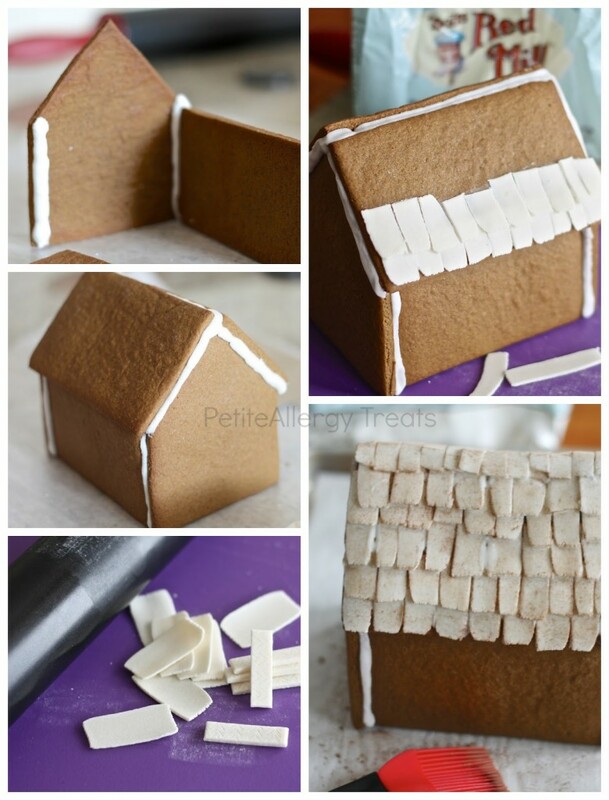 Squeeze the frosting onto the borders of the cookies and push the keep the house pieces together. Feel free to get creative with the house shape and design. 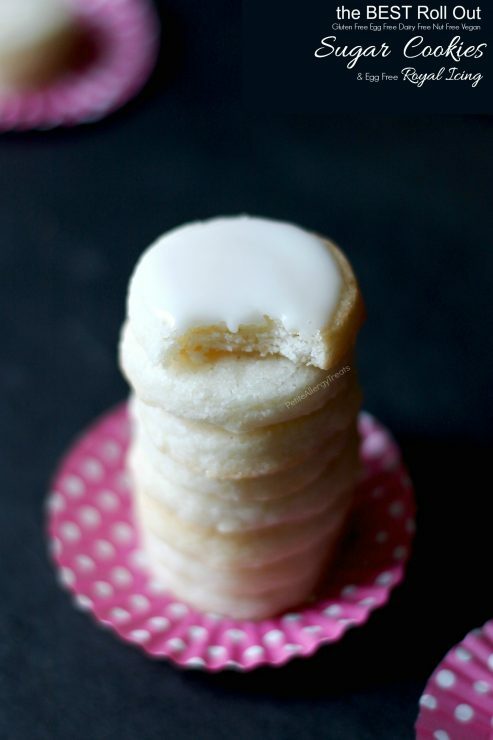 I think we’ll make Star Wars themed village next year if I can find the right cookie cutters using my gluten free egg free sugar cookie recipe. Add baking powder and gradually add all of the flour while constantly mixing. The dough will turn from sticky to stiff by the time all flour is added. Continue to stir/mix until all the flour is incorporated. Pour powdered sugar into a blender or large food processor. Mix until smooth, 1-2 minutes. Scrape down sides and mix an additional 1-2 minutes. Icing will be very thick. Allow to dry at least 2-4 hours before moving. Decorate however you choose and have fun! I used my Sparkling Cranberries to add some beautiful details. You’re such a nice friend! The shortening should be room temperature so it can be easily be mixed. Thanks so much! 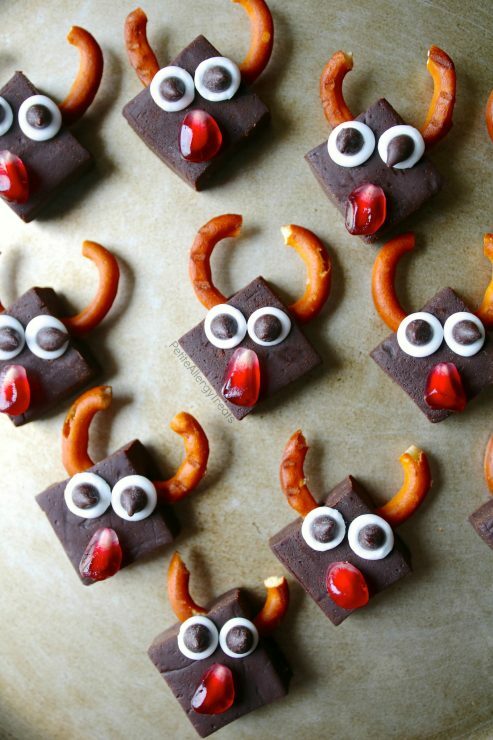 Love this festive post! Great work. Question: Does this recipe also make for good gingerbread cookies, or is the recipe written mostly for gingerbread house construction? 🙂 Thanks! Yes, Christie! These do not spread so cutting into fun shapes would work out great. 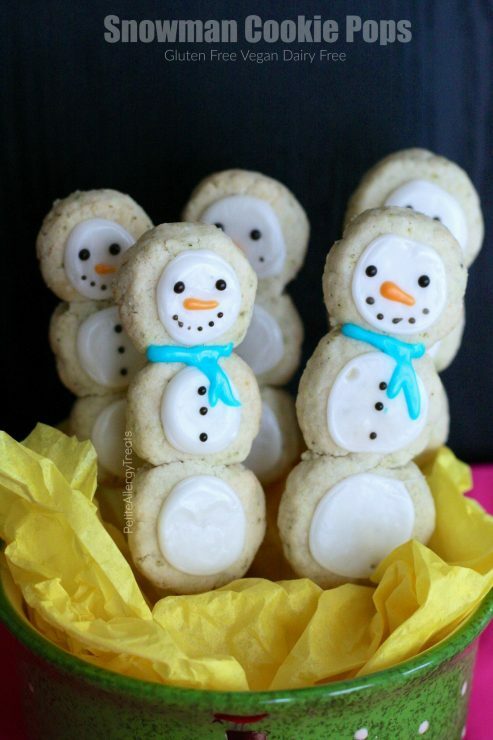 Just be sure not to roll the dough too thin or risk breaking more delicately cut cookie arms, legs or other shapes. Thanks so much! My one question is about the gluten free flour. My son is very allergic to treenuts and I had assumed Bob’s was out of the question due to processing hazelnut and almond meal. Was I mistaken? This is asked a lot… My boys are allergic to virtually all nuts (Hazel & almond included). I started using Bob’s Red Mill products before I realized they made but flours. We have not had a problem up to date with any of their products, this flour included. But… There is always a risk. Each family must decide if this product is right for them.😄. Thank you so much! We made these today and they turned out beautifully! It made plent of dough to make 3 little gingerbread houses. We haven’t assembled them yet, but the house smells wonderful! Can’t wait to try this. My kids have beenasking for a cookie house for a while. Would you mind telling me which brand of candies you used? We used Dots, Juju Bees, and Spranger candy canes… I think some of (or all) use high fruit sw corn syrup) You should always ready the labels to see if they meet your family’s allergy needs.